If you receive an error message that says: "License start date in the future (-37)", it is because the date on your computer is set before the License File was issued. This sometimes occurs when computers are used across time zones. Please check the system date and time on your computer and ensure that it is correct for your current location. If the date and time settings are correct, and you are still receiving this error message, there may be certain system files that have a future date/time stamp, even though your Operating System itself has the current correct date/time. This will identify the time and date stamp on these files. This will show that the future-dated files now have the current date's timestamp and GAUSS should be able to run. 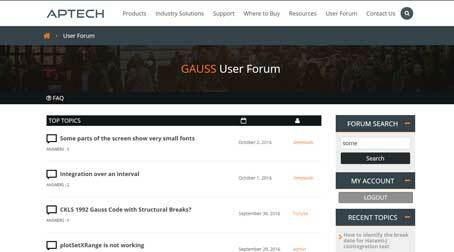 Start up GAUSS. If you receive any error messages, please contact Aptech Support and send us a screen shot of the error message. On Windows, this error message is related to file timestamps on your system that are not current. The license manager used by GAUSS is called the Reprise License Manager(RLM). RLM may be detecting clock-windback and not honoring expiring licenses. RLM detects windback by looking for future-dated files in C:\Windows (or C:\WinNT) system directories, and examining the accessed and modified timestamps on all the files there. In many cases just running the system for a little while with the correct date will access the future-dated files and the problem will clear itself. Often a reboot helps too. If it doesn't clear itself, you will have to go into those directories and look for the offending files, and set them to the current time by accessing them. Copy and paste the output from those commands into a text file to help see if any files have a future timestamp that can be corrected. Corrective Action. If your output shows a future date, perform the following commands to modify the timestamps appropriately for the license manager to work. You can run these commands in a Command Prompt (or place the contents in a .bat file and run it from the command prompt). You will need to update these sample commands with the actual file name of each future-dated file. Ensure that you use the correct command for the future-dated files as some files are future-dated based on 'last write time' and some are 'last access time'. If the output does not show any files with a timestamp greater than today's date, please try to start GAUSS. Linux: Please contact Aptech Support for further assistance.